The cost of transferring your VHS video to DVD starts at £20 (inc VAT) per video tape (up to 3 hours long) with generous discounts for quantities. This VHS service is only available from our Kodak Express store in Camden London. All VHS video work is done ONSITE ensuring quality results. If you cannot make it into our shop with your VHS videos us our Online/Mail Order service. 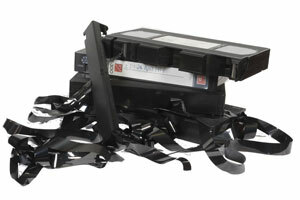 We are part of the Kodak Express group which should give you peace of mind when using our VHS to DVD copying service. You can pop your VHS work into our store in central London or post them to us with your instructions and telephone number. On receipt of your work we will call you, confirm any VHS copying instructions and take payment by credit card over the phone. DVDs last a life time, can be played countless times without deterioration. However, one tiny scratch on you DVD could make it unplayable. For only an extra £6 you could have a DVD back up copy of your precious video tape giving you complete peace of mind. By placing VHS to DVD transfers with us, you are assuring us that you own the copyright of the VHS tape OR that you have permission from the copyright owner that you can duplicate the video tape. In the case of commercial VHS video tapes we can transfer it to DVD as long as you assure us that you were the original purchaser of the video tape. We are legally bound to make only one DVD copy of commercial VHS video tapes. Some VHS Video tapes from Japan, USA and other parts of the world will be in NTSC format, the TV standard for those countries and will not play on UK (PAL) systems. 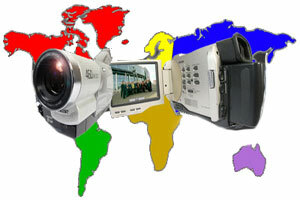 You will need to use our NTSC to PAL VHS video conversion service. The cost of NTSC to PAL for VHS videos is £40 per tape with discounts for quantities.